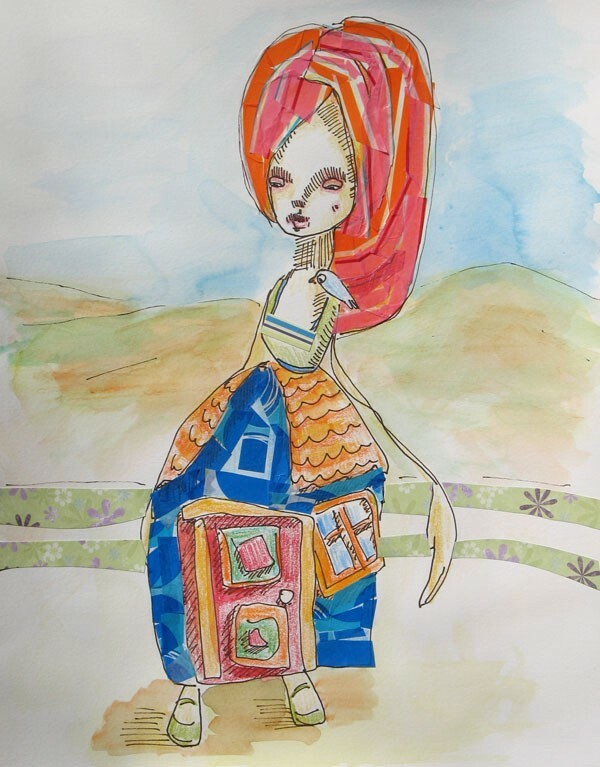 Artist Jaqueline Myers-Cho creates whimsical mixed media pieces, like this one titled Traveling Light in her Etsy shop. I would love to create art like this. Her portfolio is full of wonderful stuff, and she's recently written her first book on how to create some projects called Strands. Thank you!!! !This is so sweet!